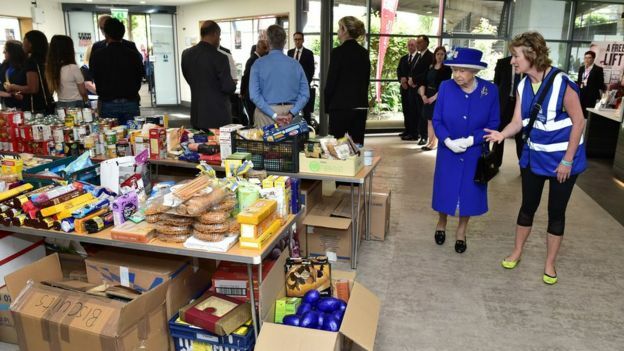 The Queen and Prince William visited a relief centre for Grenfell Tower fire victims, while the missing could number as many as 76, the BBC understands. Police say at least 30 people died as a result of the west London blaze, most of whom are likely to be among the 76. There was nothing to suggest the fire was started deliberately, police said. 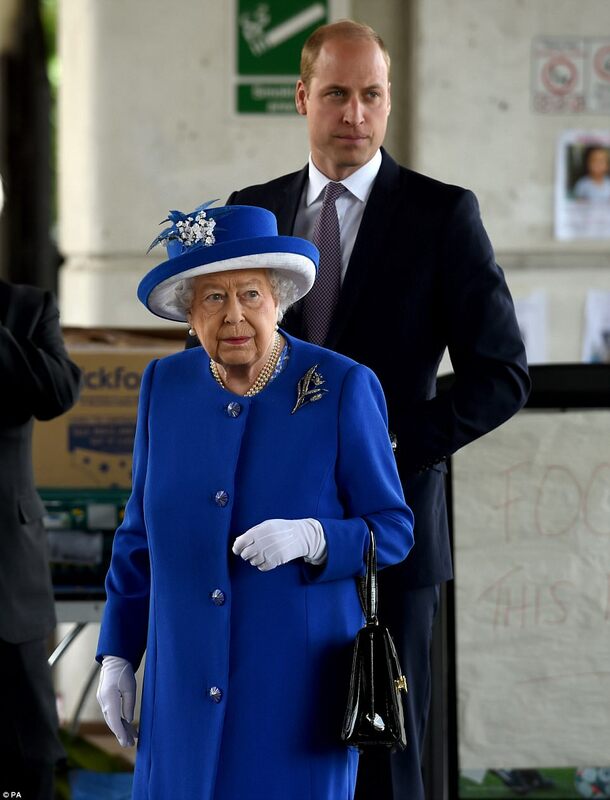 The Queen and Duke of Cambridge met volunteers, residents and community representatives during their visit to the Westway Sports Centre. 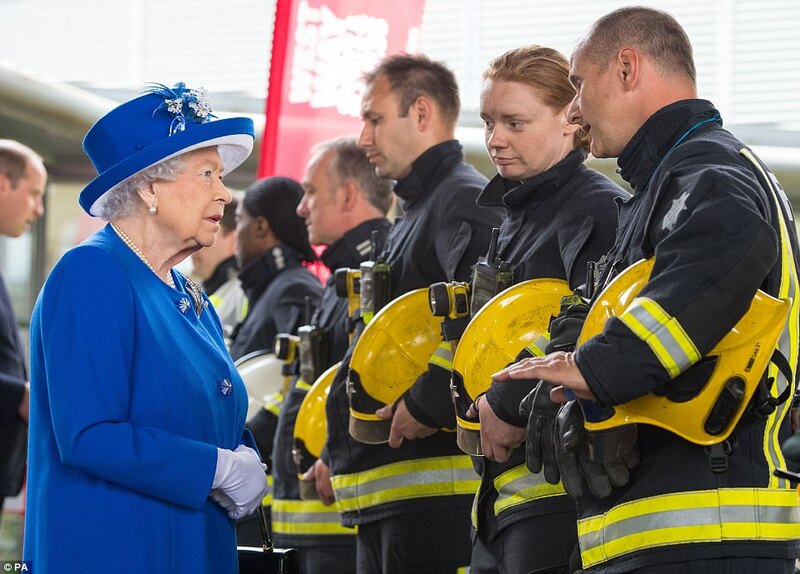 The Queen paid tribute to the “bravery” of firefighters and the “incredible generosity” of volunteers now offering support. Metropolitan Police Commander Stuart Cundy said that of those who were killed, one died in hospital. He also said there was nothing to suggest that the fire was started deliberately, and that everyone in hospital has now been identified. Police say some of those killed in the fire may never be identified. The fire broke out shortly before 01:00 BST on Wednesday. It tore through all floors of the building and took more than 200 firefighters 24 hours to bring it under control. Emergency services are spending a third day searching for bodies in the burnt-out Grenfell Tower in North Kensington. Fire chiefs say they do not expect to find more survivors. Police have launched a criminal investigation into the fire and PM Theresa May has ordered a public inquiry. 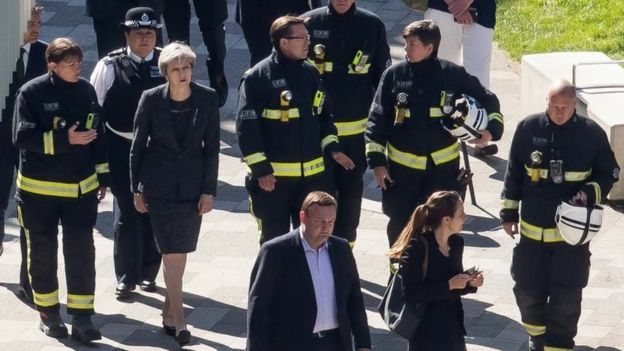 The prime minister faced criticism for not meeting survivors on a visit to the scene on Thursday, unlike Labour leader Jeremy Corbyn and Mayor of London Sadiq Khan. 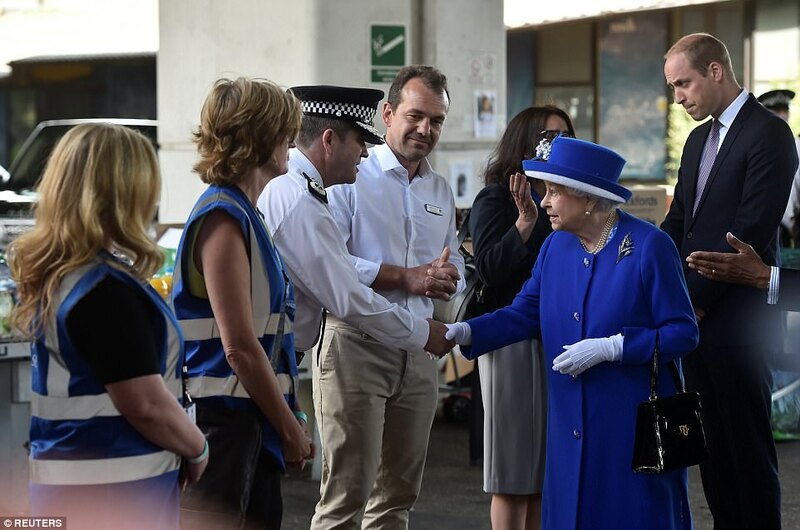 When Leader of the Commons Andrea Leadsom visited the scene, a man shouted: “Why are Sadiq Khan and Corbyn coming down here to speak to people and Theresa May is coming here with police, walking around, not meeting no-one, not meeting families? Downing Street said the purpose of her visit was to get a briefing from emergency services and she later announced a public inquiry. But former cabinet minister Michael Portillo said the prime minister “didn’t use her humanity”. The leader of Kensington and Chelsea Council told BBC Two’s Newsnight it would not use the type of cladding fitted to Grenfell Tower on other buildings in the borough.